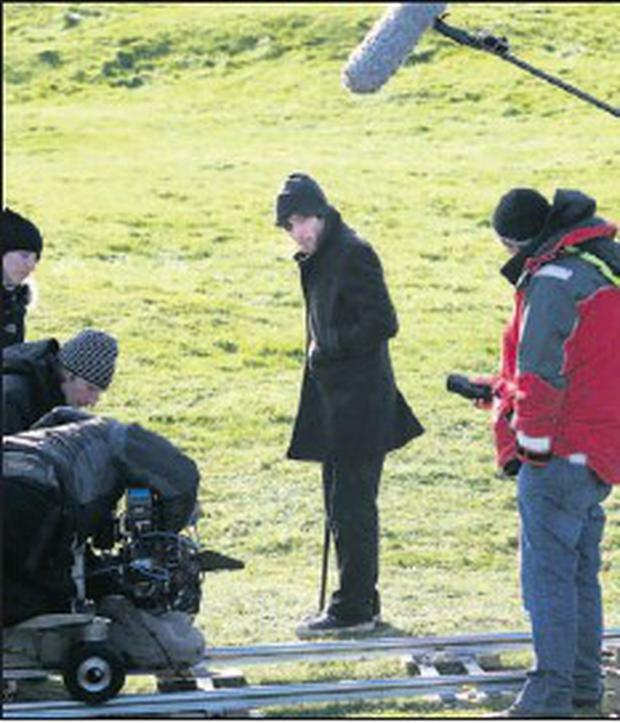 THE quiet village of Clogherhead came to life this week as stars Cillian Murphy and Jim Broadbent arrived to shoot scenes for their latest film. Ten locals in Sharkey's Pub were delighted to rub shoulders with the talented actors who were there filming scenes from the latest big budget Irish Production Perrier's Bounty. The comedy thriller, which also stars Brendan Gleeson, is directed by Ian Fitzgibbon who was also involved in the recent Irish hit 'A Film With Me In It'. The film is a comedythriller about three fugitives on the run from a big-time gangster out for revenge following the accidental death of one of his gang members. She said the huge crew and massive juggernauts, carrying wardrobe, equipment and catering for the cast, were in the village for a number of hours until shooting finished just after 7.30pm. 'They were very down to earth and Cillian was outside having a cigarette with us after all the scenes were finished,' says Thomasina. More filming was also done in Clogher Cove and in the caravan park in Clogherhead. The pub in the village was chosen after the director and locations manager were in the area scouting for an appropriate location to shoot the scene between the two actors, who play father and son in the film. 'They wanted to film in our pub because of its authenticity, they wanted somewhere that looked just like a pub on the outskirts of Dublin. 'There was a real buzz and loads of people came in just to have a look. The bar opens into the lounge so they asked people to be quiet while they were shooting the scenes in the bar, which they did,' says Thomasina, who was even asked to make an appearance herself at the last minute. 'I said no at first and then my husband said 'go on, sure you'll only be in it for a minute'. I thought I'd be behind the bar but I was sitting at the bar with the other regulars.